Xinjiang, also historically renowned as the most well-known route of the Silk Road, has a history of succession for 2,500 years and as a domino effect, several leaders and empires have competed for control over scraps of the region, let alone the entirety of it. Falling in the North West of China, it has become the country’s largest natural gas producing region, found to have an abundance of oil and mineral reserves. 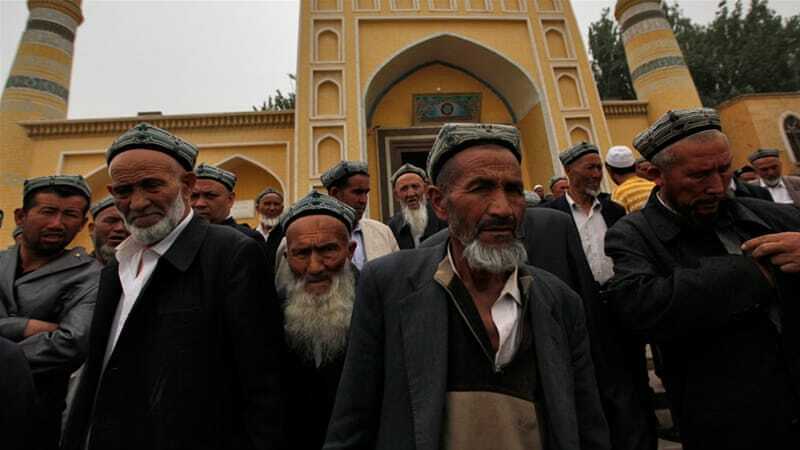 The region is made up of several ethnicities, however, around 50% of its population is made up of the Uyghur – a Turkic ethnic group who happen to be predominantly Muslim. 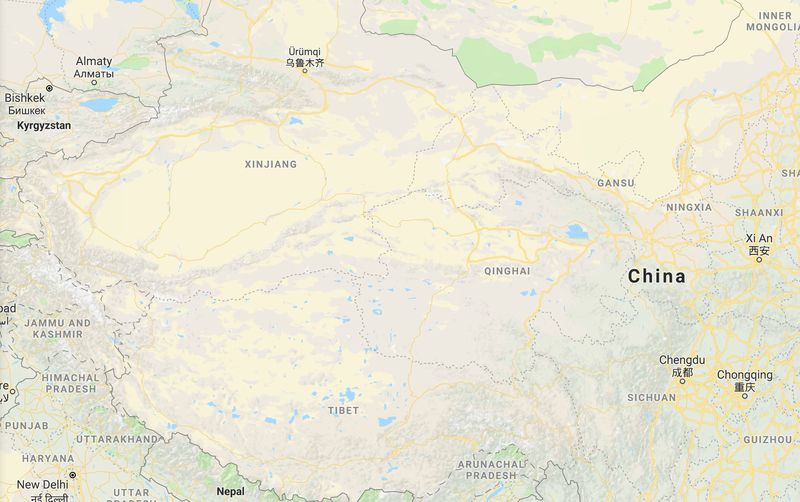 Image Source: Google Maps It is the Uyghurs who stand in the way of the current ruling communist party’s dream of ethnic homogeny and geopolitics. The Uyghurs throughout history have put the Chinese government on edge with their demand for equal treatment, displaying their categoric refusal to be exploited, and now the tension has snowballed into inhumanity - ethnic cleansing. Part of China’s mission to ethnically cleanse Xinjiang, against human rights activism, autonomy and more importantly Uyghur independence includes home visits from government officials. This is an attempt to test these homes for “extremism” and to see how “loyal” these groups of people are to the government’s authority. If those tested do not pass, they are put on a list, noted down as a potential threat to the Chinese state, and at risk of being sent to “re-education centres”, where they are subjected to abuse, torture and whatever it may take to re-shape them into the ideal Chinese citizen. China sugar coat the inhumanity they enforce, these are concentration camps and should not be known as anything other than. Data released the advocacy group Chinese Human Rights Defenders read that an estimated 227,000 people were arrested in 2017, a 731% increase from the year before, and that does not include the potential 1 million innocent people who’ve been thrown in to concentration camps in a bid to “re-educate”, this past year, never to be heard from again. *"This strong rise in 2017 [arrests] is consistent with all the other securitization measures, including massive police recruitment, deployment of sophisticated technologies, installation of checkpoints everywhere, etc. Re-education detainment figures are certainly on top of these numbers," explained Adrian Zenz, a social researcher at the European School of Culture and Theology who had conducted his research by using job ad postings and construction bids. "It shows the scale of the security state in Xinjiang at these different levels." It was only due to the heavy pressure of global media that the Chinese government recently acknowledged the existence of these centres. During a United Nations committee, when questioned on the aims of its “re-education centres” and the scope of tactics used, China reassured the UN that these were all justified methods for a righteous cause. However, evidence heavily suggests otherwise – testimonies by those freed from the centres demonstrate psychological trauma inflicted on detainees. 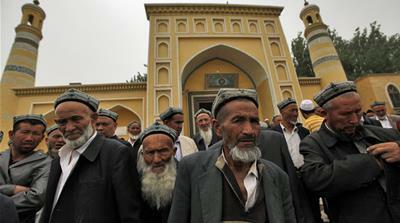 Life for the Uyghurs as well as other Turkic and culturally Muslim groups is pierced with trauma. Children are being sent away to state orphanages as their parents are being detained. With the detaining of thousands of wealthy Uyghur business owners, most people are stricken by poverty. Humanitarian work and potential aid is being blocked off by the Chinese government. Families beyond Xinjiang live in fear for their relatives, unable to contact them in case it bares dire consequences for their detained relatives. China’s objective is simple, to those who don’t want to read between the lines, they’ll believe that this is a war against terror, not dissimilar to the West post 9/11, but the fact is this, racism and more specifically Islamophobia are tools, used by colonisers to exert power and control. This is a region that oozes natural gas, oil, gold and salt. Xinjiang supplies the country’s largest supply of fruit and raw cotton – independence for the Uyghur means a loss of control over these forms of trade. The dire silence of everyone on this matter has been shocking, articles on “Muslims being forced to ear pork in China” barely covers the severity of this issue but unfortunately, that’s all we’ve had to offer the Uyghurs of Xinjiang. Uyghurs are being subjected to cultural cleansing, and potential mass extermination, the millions of people detained are unaccounted – the world needs to ask why that is, not just stand by and watch. Tiezzi, Shannonb (October 3, 2015). "China's 'Protracted War' in Xinjiang". The Diplomat. Retrieved 2016-10-29. Min Junqing. The Present Situation and Characteristics of Contemporary Islam in China. JISMOR, 8. 2010 Islam by province, page 29. Data from: Yang Zongde, Study on Current Muslim Population in China, Jinan Muslim, 2, 2010.